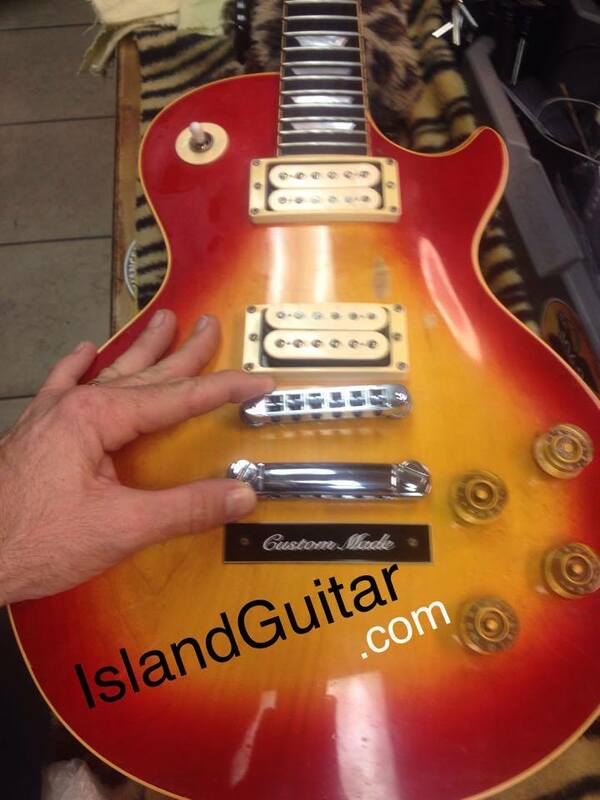 Staying late after a nice day of teaching guitar and ukulele lessons at my Key West Music store to set up this awesome Les Paul, made custom new by Gibson USA . One LUCKY customer is going to be getting this 1971 Gibson Les Paul Sunburst back in a day or two with a few tone tricks added in!! I can’t wait to string it up and test drive it and stretch the strings out on this one. 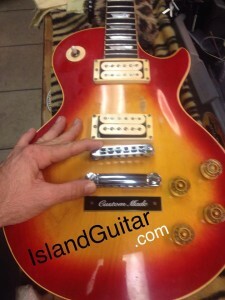 This LP had some electrical issues that were more of an old age time/worn issue – this beauty is as good as they get – sound and pliability are top shelf!! – well it is getting up there in age 43 yrs old makes it vintage to me!